Packet pick-up will be available at check-in the morning of the race, Sunday, February 18, 2019. 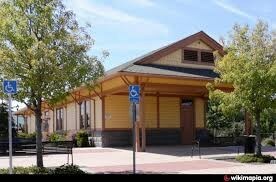 ½ marathon and 5 K participants will pick up at the Loomis Train Depot Plaza at 3640 Taylor Road Loomis, CA 95650. Those who provided their email address during the registration process will get an email a couple of days before the event with important information and any changes or updates. Items (goody bags and sweats) placed in registration packet bags may be left at the kiosk near the registration tables and picked up after the race. Please make sure your bag is properly labeled with your bib number and name.